Yes, most every great photo posted has been enhanced in post production. It is in "Post" (as we call it) that the magic happens. 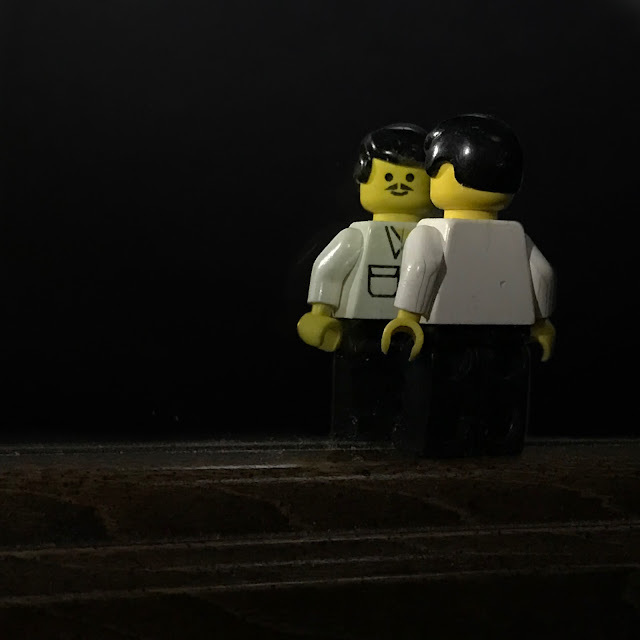 Start with the ordinary--an iPhone photo of Lego Man Joe standing on the edge of a dresser mirror with a black poster board in the background. Next, comes the "Post" work. Import the image into the Snapseed app on the iPhone and make a few edits. 1) Rotate the image to get the dresser edge horizontal. 2) Darken all the area above the dresser edge. 3) Crop the image to square. 4) Enhance the image with a bit of tweaking of brightness, contrast, saturation. 5) Save a copy of the image. Now for more magic import the Snapseed image into the Reflect app on the iPhone. With this app simply add the water and reflection and also add the milky way sky effect. Save the changes for this magical image. Changed from the ordinary to the extraordinary -- it's all in "Post"
For those who like borders (which I often add), I imported the image into the Photo Studio app on the iPhone and added my standard border. Yes, it is all in post. That's where you can change the ordinary into the extraordinary!